The value of art is very subjective and often times there are people with no respect for art at all: sure it might be terrible and not to your liking, you can even call it the second coming of iconoclastic art and a waste of paint and materials. But people have to respect art, in a sense that all art should remain free to be expressed and displayed so long as artistic values can be perceived from the work. There’s a reason why we thought of Dadaism is art, and it’s even very avant-garde, no matter how random-looking it is. But studded throughout history are iconoclastic censorships supported by a state. Banning a certain type of artwork or style, the government sets out to confiscate works of art and apprehend the artists. They might even destroy the piece and have the artist imprisoned, or worse, killed, should the piece prove to be very offending to the ruling class. The latest being the birth of what came to be known as “Degenerate Art,” a term used by the Nazis before World War II to describe the artworks that are not in accord with their culture and ideology, that is, the superiority of the Aryan race and the inferiority of everyone else. It was 1933 when Hitler rose to power with the Nazi Party, the biggest party in Germany. 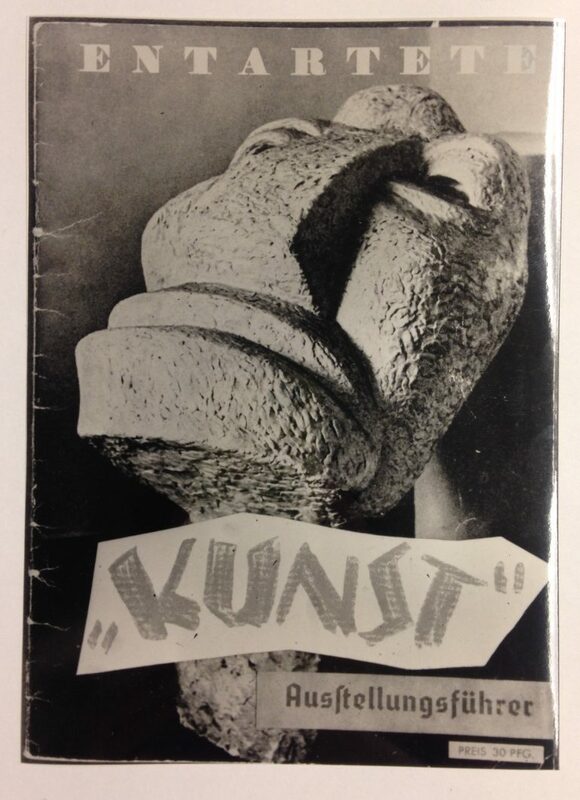 As Hitler’s rule started, censorship and suppression of contemporary art quickly began. To purge it out they began to confiscate works and arrest artist while labelling both artists and work as “degenerate” if they, the Nazi Party, disapproved of it. They passed laws to ban any contemporary art that they don’t like and display it in exhibits that condemned these works while blaming the Jews for them. About 16,000 contemporary works of priceless value were confiscated by the overseers of the campaign in Germany alone, Alfred Rosenberg and Joseph Goebbels. Many of them were now lost. In 1933, as this campaign went on, the Nazis took control and closed down the Bauhaus Design School and the Deutscher Werkbund. While the school was taken out because it is filled with Jews and Communists, the Deutscher Werkbund was composed primarily of Communists. When the next year arrived, Hitler finally became open with his censorship campaign and talked harshly against degenerate art and artists in a Nuremberg Nazi Party. Three years later, the Nazi party began to display 700 of these works side-by-side with “artworks” from German lunatic asylum inmates. 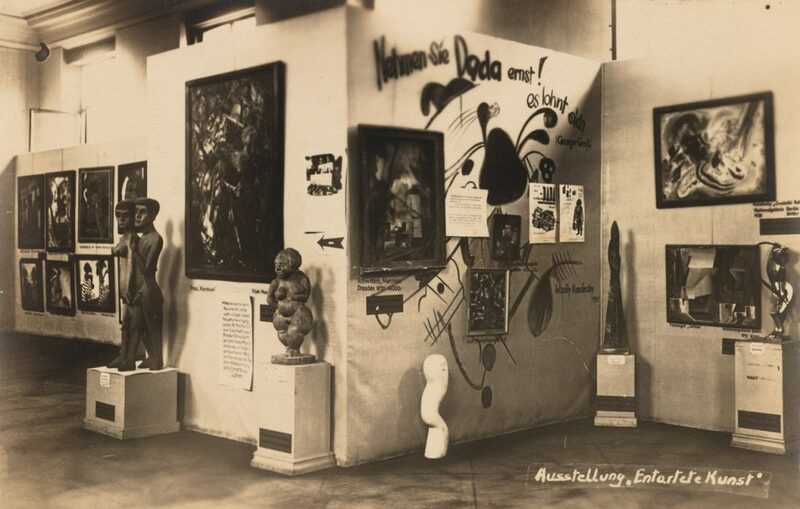 This was the infamous Entartete Kunst exhibit in Hofgarte Institute of Archeology, in Munich. Ironically it was also the biggest art exhibit of its time, which helped promote modern art instead of suppressing it. The Germans continued the campaign of taking art from all over Europe and hide them, becoming the greatest censorship and art theft of all history. An estimated 650,000 works went missing after the war. Expressionist, Dadaist, and Cubist paintings are prime examples of those that have been destroyed. Painters like George Grosz, Pablo Picasso, Ernst Ludwig, and Alexei von Jawlensky were labelled “degenerate” and their works were confiscated and stolen, hidden, and were thought to be either destroyed by the Germans before or as the war progressed, or was destroyed through the war efforts, or lost by some other means. Many of them were actually sold off around the world to continue funding the German war machine. After the war, however, a massive effort was put to fund a search for the missing works. This resulted in the historical 2012 recovery of some 1,280 works thought to have been destroyed by bombardments, with the searches still going on.